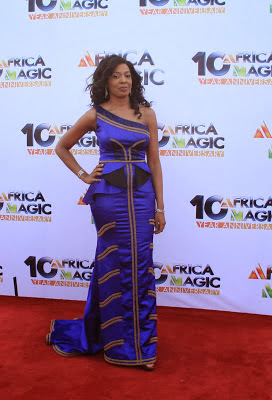 Check out my best and worst dressed female celebs @ Africa Magic @10 & AMVCA Nominee Party. Biola Alabi looks stunning in this blue outfit.Nice hair too! Tinsel Star,Linda Ejiofor looks really cool in this red dress,and cute black pumps. Yvonne Okoro is cute in this dress! Her shoes tho. Funlola Aofiyebi's oufit is so simple,and lovely!I love her scarf. Joselyn Dumas isn't wearing a body con dress!She's looks cute as usual. As usual I really don't have words to describe them,so I'll just ask this question: What were they thinking?